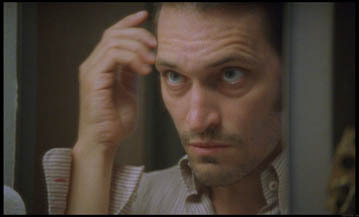 Vincent Gallo's The Brown Bunny is the subject of a rather infamous debate between the director/writer/actor and Chicago Sun-Times film critic Roger Ebert. After being overheard singing "Raindrops Keep Falling on My Head" during the Cannes screening of The Brown Bunny, Gallo angrily put a curse on Ebert's colon. Ebert fired back, " I had a colonoscopy once, and they let me watch it on TV. It was more entertaining than The Brown Bunny." Things progressed, and at one point Gallo called Ebert "fat". Again Ebert replied. "It is true that I am fat. But one day I shall be thin, and he will still be the director of The Brown Bunny."